Financial News – Page 3 – . : Italeaf Group – Innovation To Make The Change :. 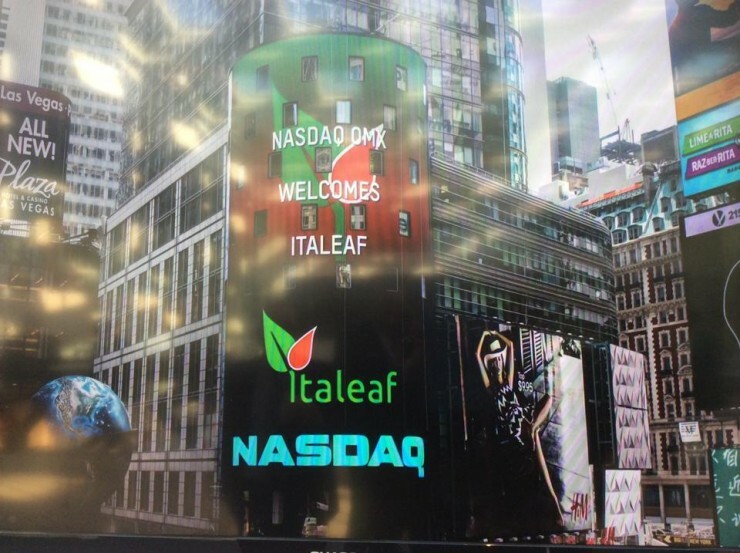 Italeaf’s Board of Directors met today, for the first time after the renewal approved by the Shareholders’ Meeting, appointing Stefano Neri, Chairman, Monica Federici, Chief Executive Officer of the Company. TerniEnergia, a smart company listed on the MTA of Borsa Italiana and part of the Italeaf Group, announces nnounces that it has finalized and signed all the deeds relating to the sale of two business units relating to energy efficiency interventions to Estra Clima Srl, a company of Estra Group, one of the leading player in the distribution and sale of natural gas in Central Italy, active in the sale and procurement of electricity, as well as in telecommunications, in the design and management of energy services and in the power generation from renewable sources. 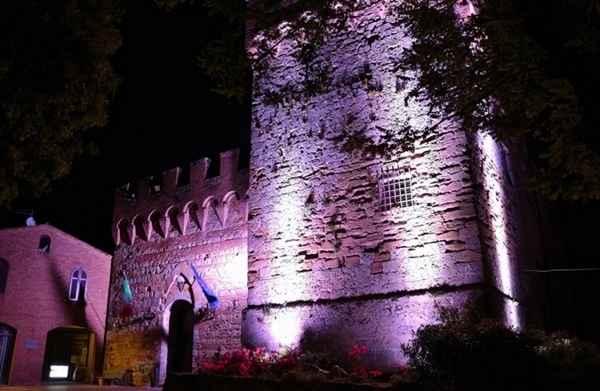 The company branches to be sold, with the relative financial and trade debts, refer to two energy efficiency lighting projects on behalf of two Tuscan municipalities, including the integrated management, ordinary and extraordinary maintenance of public lighting systems. The effects of the transaction are subject to the formal consent of the two municipalities to transfer the contract to Estra Clima Srl within 45 days from the request, and to other technical-contractual conditions typical of this type of transaction. The value of the two branches sold is equal to Euro 1.4 million gross of the debt relating to the financial lease on the plant of one of the two municipalities for Euro 0.45 million (inclusive of VAT) and trade debts for approximately Euro 0.25 million, as well as the value of some works to be carried out at charge of Estra Clima for approximately Euro 0.17 million. Payment will be made in cash: 90% of the collection, which is made up of the first three tranches, is subject to the fulfilment of the above conditions precedent, while the remaining 10% will be paid 6 months after the fulfilment of the above conditions. For TerniEnergia, the transaction represents a new, important part of the recovery and relaunch plan, aimed at completing, in the medium term, the transformation of the Company into a smart company and the overcoming of the current situation of financial tension of the Group, based on strategic guidelines identified by the Board of Directors. The Annual Ordinary Shareholders’ Meeting of Italeaf SpA, the holding company and first Italian company builder active in the cleantech and smart innovation sectors, listed on the NASDAQ First North of the Stockholm Stock Exchange, was held on 29 June 2018 at the company’s headquarters in Narni (TR). The financial statements for the year ended as at 31 December 2017 have been approved, as the Shareholders’ Meeting took note of the consolidated financial statements for the year ended as at 31 December 2017. The Shareholders’ Meeting resolved to carry forward the 2017 loss of Euro 0.9 million. The Shareholders’ Meeting resolved that the Board of Directors should be composed of three members. Stefano Neri, Monica Federici and Domenico De Marinis (independent director) were re-elected as members of the Board of Directors for the three-year period 2018-2020. The Shareholders’ Meeting resolved that the members of the Board of Directors receive a total annual gross emolument of Euro 12,000. The Shareholders’ Meeting resolved to appoint the members of the Board of Statutory Auditors. Andrea Bellucci, as Chairman; Fausto Sciamanna, as Statutory Auditor; Caterina Brescia, as Statutory Auditor; Marco Chieruzzi, as Alternate Auditor; Andrea Sattin, as Alternate Auditor, for the three-year period 2018-2020. The Shareholders’ Meeting resolved as the gross annual emolument due to the Board of Statutory Auditors the amount of Euro 10,500.00, of which Euro 4,500 to the Chairman and Euro 3,000 to each standing auditor. for these reasons, the reports of the auditing firm EY conclude that it is impossible to issue an opinion on the financial statements as at 31 december 2017. The Independent Auditors EY also included in their report a reference to Information for the Shareholders of Italeaf SpA on the explanatory note “Assets held for sale” of the consolidated financial statements as at December 31, 2017, which describes, among other things, the reasons on the basis of which the directors consider receivables totalling Euro 9 million claimed by the subsidiary TerniEnergia S.p.A. from the purchasers of some of its subsidiaries sold during 2014 to be recoverable. In particular, the directors report that the disposals of these equity investments are transactions with L&T City Real Estate Ltd (in relation to the sale of Solter S.r.l. and Energia Alternativa S.r.l.) and Ranalli Immobiliare S.r.l. (for the sale of the company Soltarenti S.r.l. ), companies referable to a lawyer who has judicial assignments from the same subsidiary TerniEnergia S.p.A., as well as indirect shareholder of the same; in particular, on March 12, 2018 the subsidiary TerniEnergia S.p.A. and the above mentioned parties signed a deed of fulfilment of the termination conditions with the consequent repurchase by the Group of control of these companies, instrumental to a sale of the same to third parties, under a complex transaction of establishment of a newco and contribution of assets, details of which are provided in the notes. This will make it possible to offset the credit of Euro 9 million and to collect the proceeds from the a new sale, currently being defined, for some of the assets held for sale and estimated at approximately Euro 6 million. The Reports of the Independent Auditors are available to the public at the Company’s registered office and on the Company’s website www.italeaf.com in the Investor Relations/Shareholders’ Meetings section, where the Consolidated Annual Financial Report as at 31 December 2017 and the Separate Financial Statements as at 31 December 2017 of Italeaf SpA are available too. It should be noted that the reports of the Independent Auditors EY SpA have been issued today to accompany the Consolidated Annual Financial Report as at 31 December 2017 and the Separate Financial Statements as at 31 December 2017 of Italeaf SpA. The reports of the independent auditors EY conclude that it is impossible to express an opinion on the financial statements as at 31 December 2017. Please refer to the full text of these reports, which are annexed to this press release. The Independent Auditors’ Reports are available to the public at the Company’s registered office and on the Company’s website www.italeaf.com in the Investor Relations/Shareholders’ Meetings section, where the Consolidated Annual Financial Report as at 31 December 2017 and the Separate Financial Statements as at 31 December 2017 of Italeaf SpA are available. 1) Approval of the financial statements for the year ended as at 31 December 2017, presentation of the Board of Directors’ report on operations, the report of the Board of Statutory Auditors and the report of the independent auditors; related and consequent resolutions. Presentation of the consolidated financial statements for the year ended as at 31 December 2017. 2) Determination of the number of directors and appointment of the Board of Directors; determination of total emoluments pursuant to art. 29 of the By-laws; related and consequent resolutions. 3) Appointment of the Board of Statutory Auditors, determination of emoluments pursuant to art. 35 of the By-laws; related and consequent resolutions. 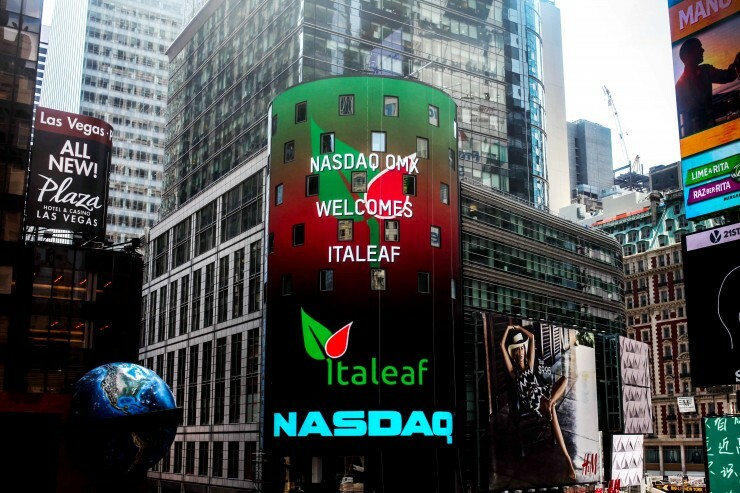 are contained in the general notice to convene, the fact of which – together with the documentation relating to the Shareholders’ meeting – are published on the company’s website www.italeaf.com under the investor relations section, to which reference is made. The Board of Directors of TerniEnergia, smart company listed on MTA of Borsa Italiana and part of the Italeaf Group, met today, took note of the resignation with immediate effect of the board member and vice-president of the Company, Mr. Giulio Gallazzi. 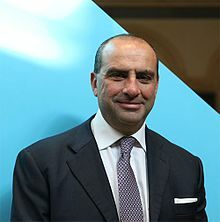 The decision was taken by Mr. Gallazzi believing that a further presence in the Board of Directors of TerniEnergia could no longer bring added value to the Board works, disagreeing himself with the path that the Company intended to undertake, preferring solutions aimed at a disposal of owned assets to be combined with agreements for the restructuring of bank debt, postponing a possible strengthening of equity to a later stage; the latter action, considered by Mr. Gallazzi, however, essential and priority over any other action. The Board of Directors of TerniEnergia, taking note of the irrevocable resignation, thanked Giulio Gallazzi for the important and positive contribution made to the Company. TerniEnergia, smart company listed on MTA of Borsa Italiana and part of the Italeaf Group, announces that Softeco Sismat, the digital company of the Group, leads the VIRTUS project (“VIRTUal Management of distributed energy resourceS”) financed by the Ministry of Economic Development through the Cassa per i servizi energetici e ambientali (CSEA, www.csea.it) for a total of Euro 1.1 million, of which Euro 550 thousand as part related to the activities carried out by Softeco. 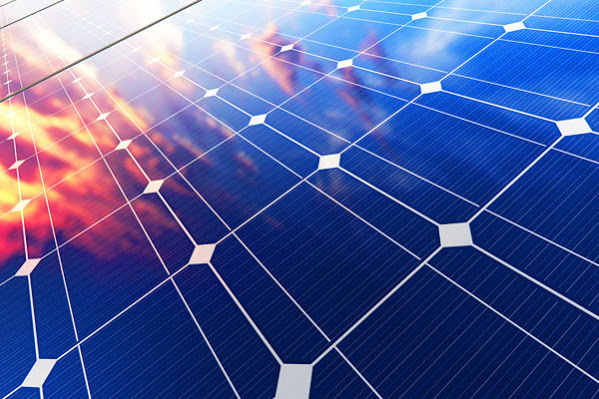 The project will develop a Virtual Power Plant (VPP) prototype in an industrial tertiary context, with the aim of validating the value chain in several real districts (industrial and public administration) and demonstrating the technical and economic feasibility of synergistic coordination of distributed resources, for local energy optimization and the provision of services dedicated to different actors of the electricity system, regulated and liberalized. The VIRTUS project is supported by the scientific coordination of the University of Genoa – Department of Electrical, Electronic, Telecommunications and Naval Engineering (DITEN) thanks to the collaboration with the IEES (Intelligent Electrical Energy Systems, http://iees.diten.unige.it) a laboratory coordinated by Prof. Stefano Massucco. The University of Bologna and Yanmar R&D Europe Srl also take part in the cluster. The project consolidates and enhances the profitable and continuous collaboration between Softeco Sismat and UNIGE-DITEN-IEES in the study of methodologies and development of cutting-edge solutions for smart grids, after the experience of the SmartGen project (Study, development and validation of innovative methods and tools for the management of active distribution networks with generation from renewable sources, www.smartgen.it) and the current PODCAST project (Platform for Optimization of Distribution through the use of data from Electronic Counters and Distribute Storage systems, www.podcast-csea.eu). With the coordination of the SmartGen, PODCAST and VIRTUS initiatives, Softeco Sismat completes a bouquet of R&D projects in the field of Ricerca di Sistema (www.ricercadisistema.it), confirming its role as a reference for high added value research activities on the smart grid and digital energy issues.